Badger's Digital Panel Short features feature a solid-color design with complimentary digital camouflage sublimated side panel inserts. 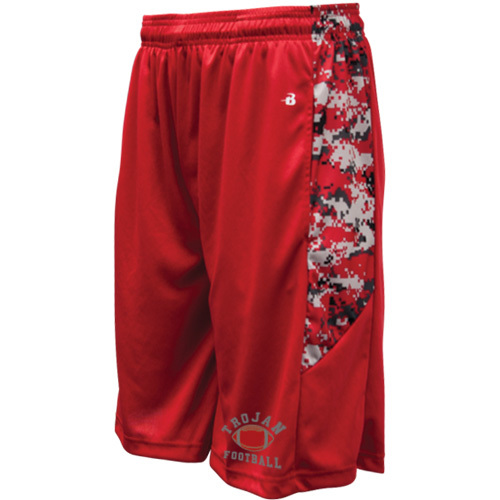 Shorts are made of 100% polyester moisture management and antimicrobial performance fabric, and come in a 10" inseam. Shorts feature deep side pockets, a covered elastic waistband and drawcord closure. See below for color options.